His well-received solo debut album My Gospel is out now on Lightning Rod Records. Throughout the disc’s 11 tracks, Cauthen delivers with a striking baritone that exudes a unique mix of vulnerability with swagger. His performances can resemble a church revival at one moment followed by timeless Western swing into a gut wrenching confessional ballad. One thing My Gospel is not, is easily forgettable. My Gospel represents an artistic epiphany for Cauthen who hit a figurative rock bottom following his departure from his former group. The next three years proved to be pivotal as Cauthen returned to his hometown of Tyler, Texas and discovered his true voice. He recorded the album at a few legendary American studios (FAME, Modern Electric Recorders) over the course of those years and the result is an eclectic yet timeless collection of songs that blend key elements of gospel, folk, country, rock and soul and a whole lot of passion. On “Still Drivin’” Cauthen pleads for a break as well as preaches survival. The song “Hanging Out On The Line” captures the juxtaposition of sensitivity mixed with confidence, which is one of Cauthen’s most endearing qualities. On the album’s stunning title track “My Gospel” with its other-worldly harmonies, he addresses the spiritual need to connect, love and ultimately find your path. 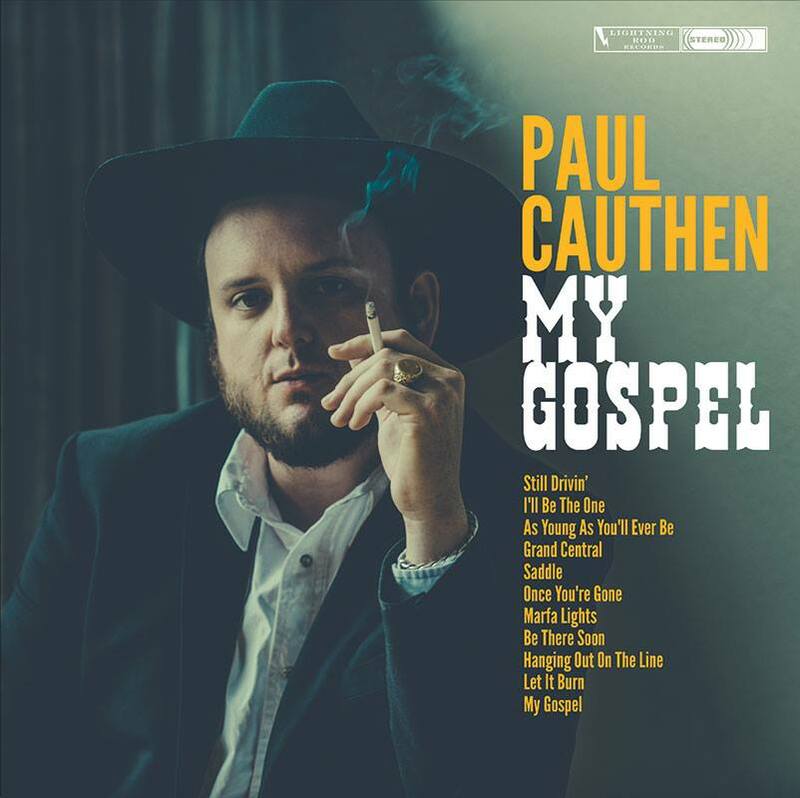 Growing up, Cauthen was first encouraged to sing by his grandfather, a songwriter/gospel song leader who worked with artists including Buddy Holly and Sonny Curtis. Along with his great taste in music, Cauthen’s grandfather introduced him to harmony singing through bi-weekly choir sessions at the Church Of Christ. As a teenager, Cauthen got into more trouble than most, spending time in jail, and later being kicked out of college. In 2011 he co-founded the rowdy Texicana band Sons Of Fathers which was well on the way to making a name for itself and now combines his rich musical influences with his life experiences to focus anew on his solo career.